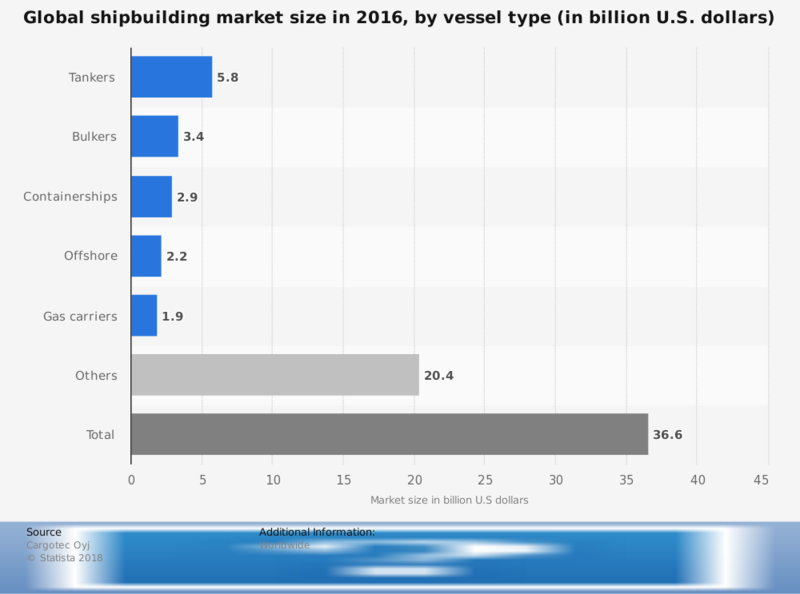 In 2016, many shipbuilders saw 20-year lows (or worse) for new orders. The global total for new orders that year were just 18.8 million gross tons. In comparison, new orders in 2007 were for 169.6 million gross tons. Only 1,044 vessels were ordered during 2016. In the year before, there were 2,340 vessels ordered. In 2007, over 5,400 vessels were part of the global order book. 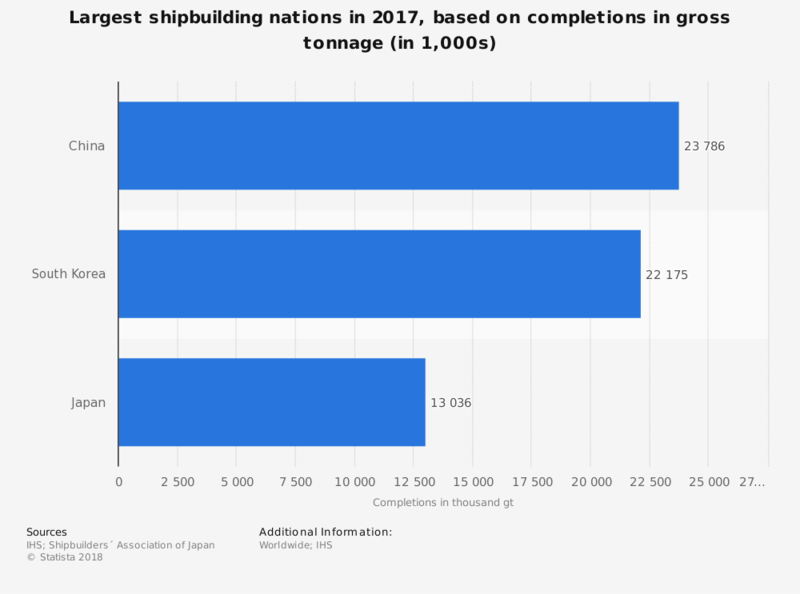 Although the global shipbuilding is working to recover from the lows experienced in 2016, some of the fallout is continuing. To book work, some builders are under-pricing their services to gain leverage in the market. Others have focused on providing one specific type of ship through their order book instead of a variety of vessels. At the end of the day, China has emerged as the top shipbuilding nation in the world. In 2017, they ranked #1 in completion rate (41%), volume of new orders (42%), and holding orders (44%). Compared to their 2016 orders, the growth in 2017 for China was almost 30%. The shipbuilding industry is a cyclical, mature industry that has been around for over 2,000 years. Although technologies have changed with each generation, the need to travel the world’s oceans has never disappeared. That means the market for building ships will continue to exist. As aircraft shipping methods have increased, the shipping industry has focused on bulk shipping methods. This has led to an increase in container ship orders and bulk carriers. It has also led to a decrease in other vessel types. This has led to geographical segmentation of the industry. In the Asia-Pacific region, for example, you’ll find a focus on container shipping. In North America, you’ll find a focus on ferries, tugs, military vessels, and towboats. Then in Europe, you’ll find a mix of mid-size shippers. That segmentation has led to a shift in where orders are placed. Instead of each producer providing a one-size-fits-all solution, orders are now based on these geographic specialties. 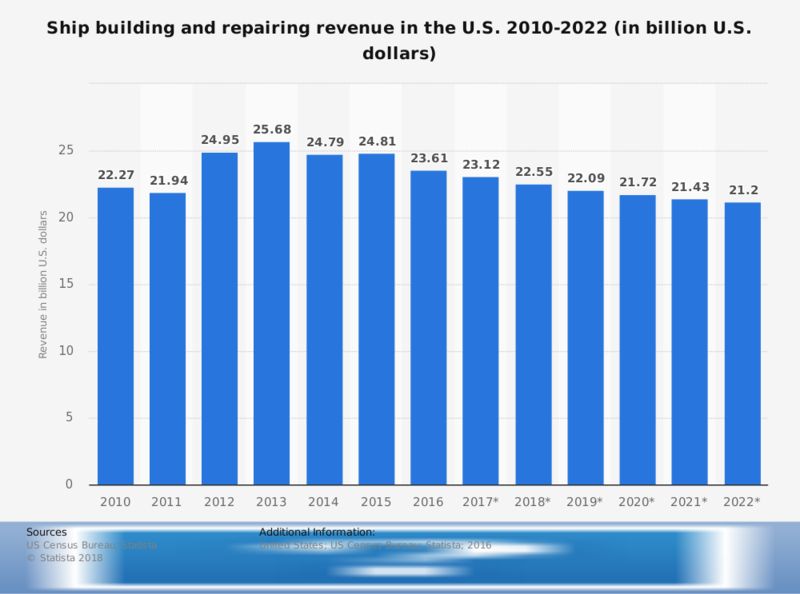 Over time, this will lead to even more cycles in the shipbuilding industry. It will also lead to more stability in geographic revenues, which should help the industry as a whole.